<< Prev | Veep Not Welcome at Radnor High? 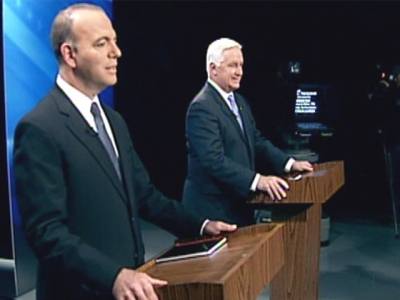 A new poll shows Democratic gubernatorial candidate Dan Onorato is closing the gap between him and front-runner Tom Corbett. The Muhlenberg College poll released today shows Republican Corbett holding a slight lead over Onorato. But that lead has shrunk since mid-September. In the latest poll, Corbett is backed by 47 percent of likely voters, Onorato is favored by 40 percent and 14 percent are undecided. The margin of error is plus or minus 5 points.